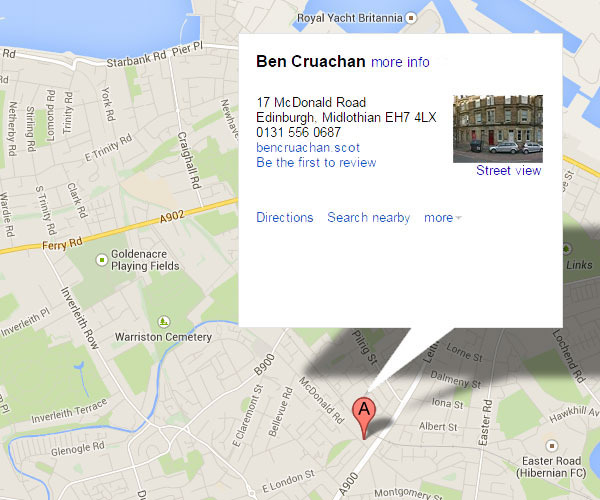 As you can see from the map (courtesy of Google) on the right, we are very conveniently located in central Edinburgh. Please Click on the map and it will redirect you to Google maps where you will be able to view this central location and plan your journey to and from McDonald Road. If you require any further travel advice please do not hesitate to contact us. We would be more than happy to help you plan your journey when staying at Ben Cruachan.